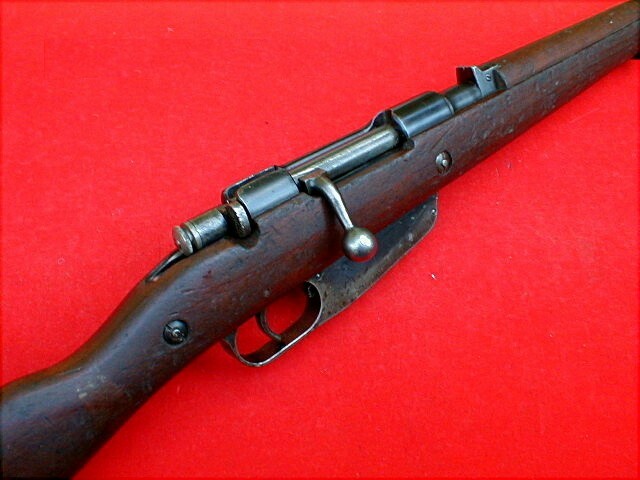 Italian World War Two Mannlicher Carcano M.1938/43 short rifle in 7.92 mm Mauser calibre. 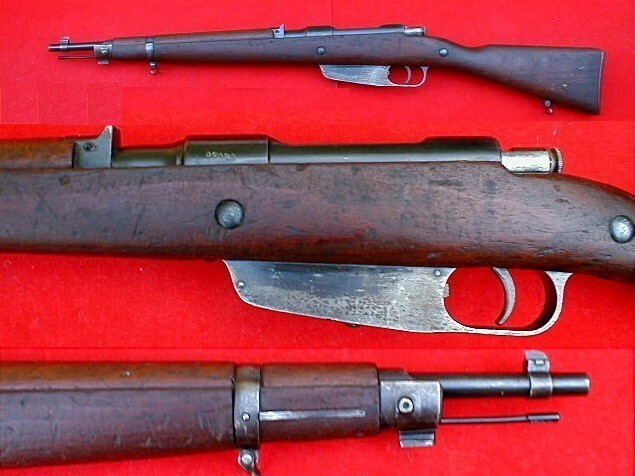 These rifles were reportedly manufactured at Armaguerra Arms Factory in Cremona in 1944 for the Italian forces still fighting alongside the Germans. 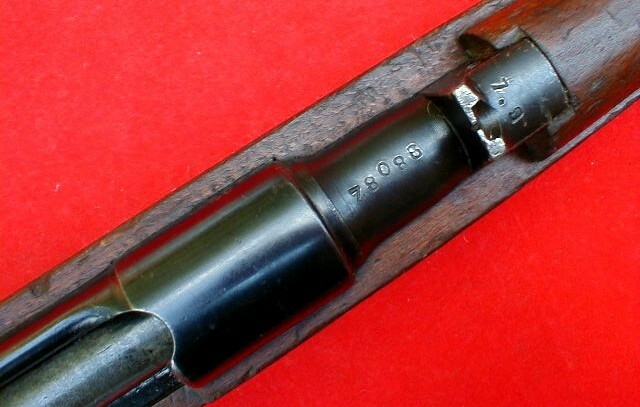 The calibre designation is stamped on the rear sight, "7.9 mm". 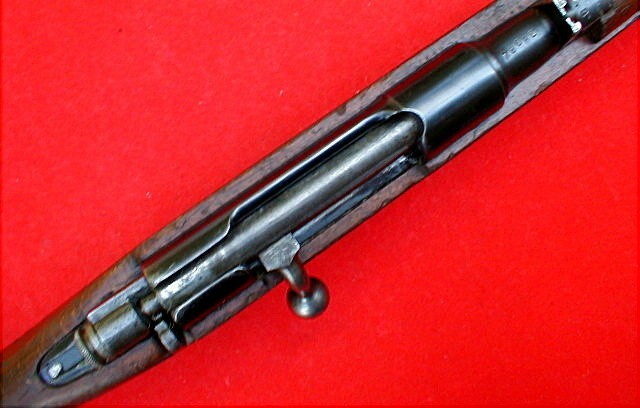 The barrel is bored for a standard German 7.92mm Mauser cartridge. The bolt-head face was modified accordingly. 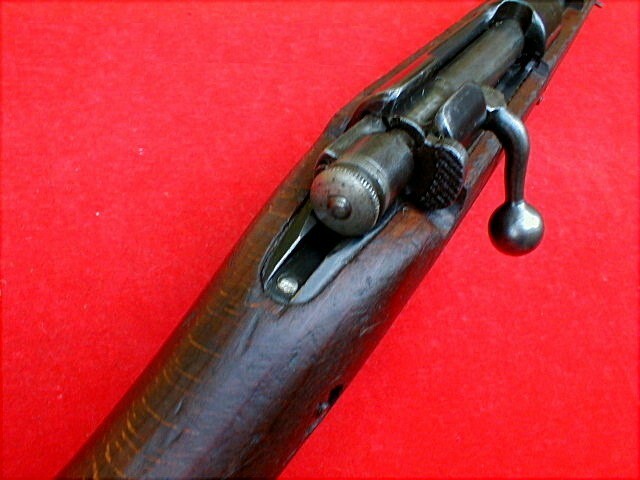 The rifle still uses Mannlicher style clip. Fixed notch rear sight set for 300 meter. Many thanks to "COLLECTIBLEFIREARMS" for the photos. 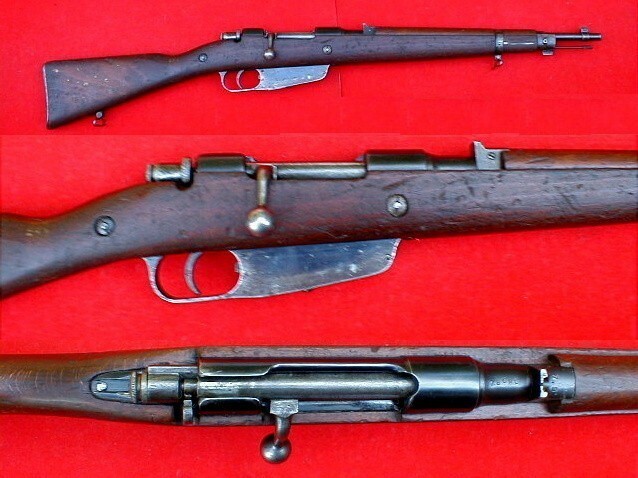 Hi, The 8mm Carcano TS rifle you have identified as being made by Armaguerra is incorrect. It was almost certainly made by F.N.A.Brescia by the Italians, not Germans. They were also made by R.E. Terni by the Italians not by the Germans or made for the Germans. The Germans did convert Carcanos to 8mm but they didn't convert any TS models, only cavalry, M38 short rifles, and M41 long rifles. These were converted by the German firm of Heinrich Krieghoff and will be mark (HK). 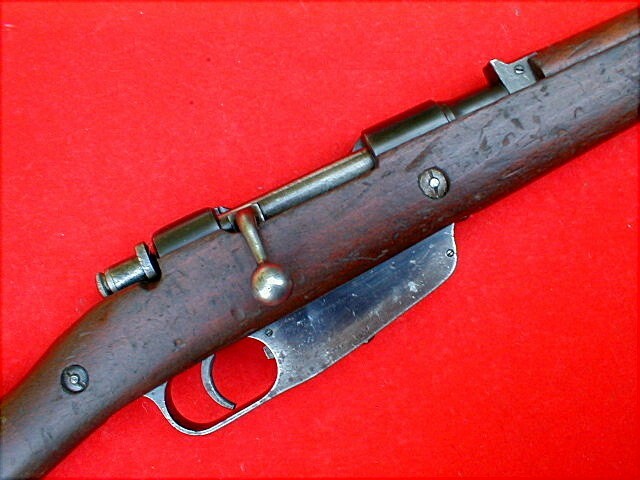 Also Armaguerra only made M41 Carcano long rifles, a few submachine guns and about 400 or so M1935 Beretta pistols.